It was the SS501 boys who came out on top as they obtained 9,787 points as compared to 7,881 points for the Wonder Girls to claim K-Chart for the second consecutive week. Neither groups were present tonight due to other commitments. This entry was posted on June 18, 2010 by redtofu. 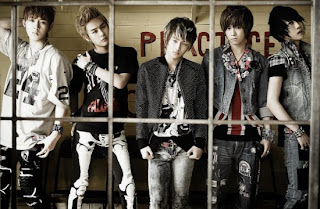 It was filed under Band, Boy Band, Chart, Girl Band, Live Performance, Solo and was tagged with CN Blue, DNA, f(x), Lyn, MBLAQ, music bank, Orange Caramel, sistar, Soya n Sun, T-Max.